Shout, whisper, gossip, sing whatever your style of communication, your mouth is the instrument. 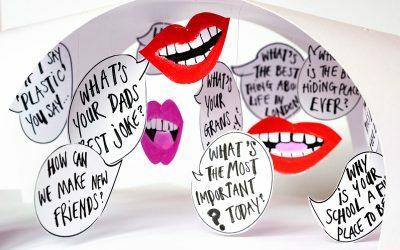 Get lippy and respond to our ‘big questions’. Build on each others responses and hang your thoughts inside the tent for all to ponder… it’s gonna be interesting to see what comes out of it! Facts, fiction, debate, humour and maybe more questions. Together we’ll create a mobile conversation between friends and strangers. 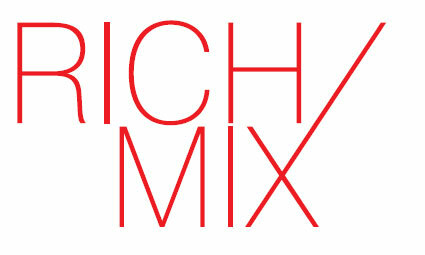 This is a family event – We’re one of the many partners of Rich Mix during their PLAYHOUSE Spring Festival, which will feature at All Points East. ALL POINTS EAST Festival is a fabulous community events running over two weekends in May in Victoria Park. 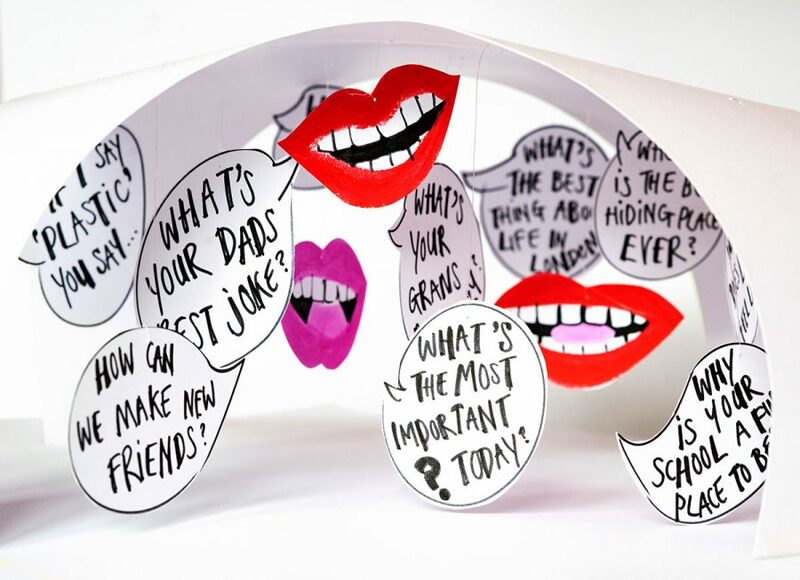 Our contribution ‘Mobile Conversations’ is a 2hr workshop happening on Spring Bank Holiday Mon 27th May 2019, 11am – 1pm, in the Rich Mix tent. Find us in ‘ The Neighbourhood’ zone.